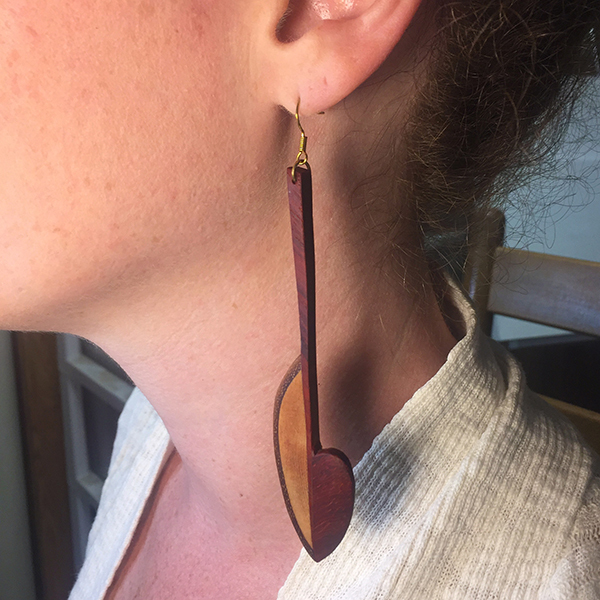 These earrings are hand-made, one-of-a-kind pieces made from padauk, purpleheart, and maple woods. 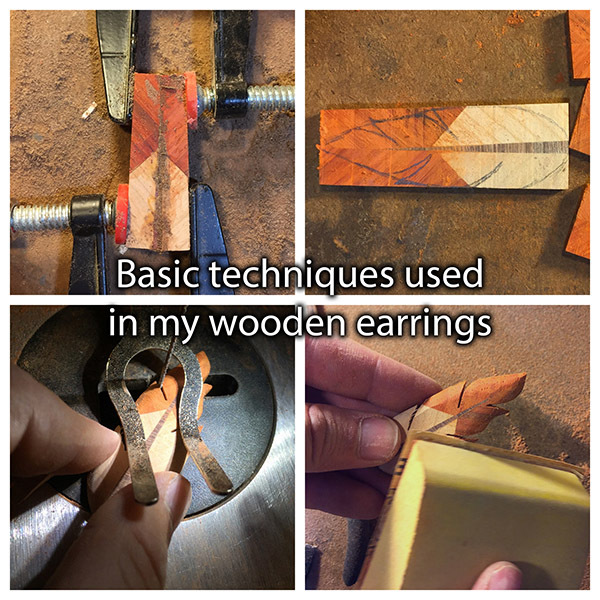 The colors are the natural colors of the wood (no stains or paints). 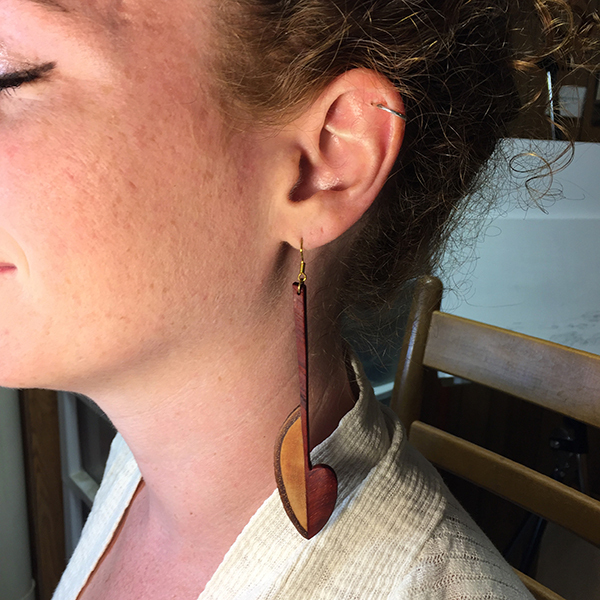 These are finished with a food-safe mineral oil/beeswax mix. 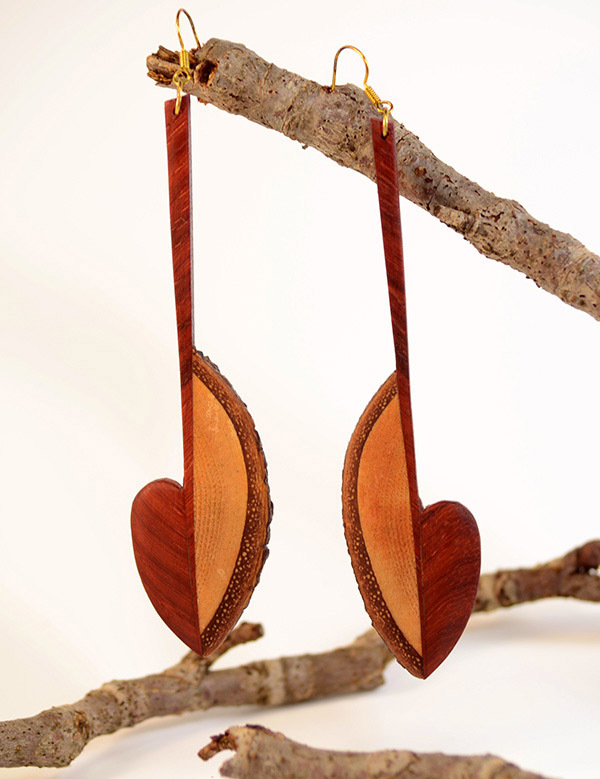 The wood is initially cut to size and glued in the desired pattern. I then sketch out the design and cut it out with a scrollsaw. Finally comes a LOT of sanding by hand and then finishing with mineral oil/beeswax.